The Reebok Workout was born in the 80s fitness revolution with Reebok paving the future for fitness footwear for a new generation. In decades to come we’ll still probably be talking about the Reebok Workout. Why? Because it’s a classic and as far as anything 80s and classic goes it doesn’t really get much better. Take the Workout for example, with a name like that it didn’t exactly make you want to sit on your backside eating crisps and watching TV all day did it? Reebok was one of the first sportswear brands in the 80s to cash in, if you like, on the growing fitness trend and global gym revolution. Whereas other brands were looking to cover the track and field or indoor sports, Reebok saw a gap in the market and set out to create a range of silhouettes specifically tailored for this new fitness orientated consumer. As steroid fueled action men like Arnold Schwarzenegger and Sylvester Stallone dominated the big screens people wanted to hit the gym and ‘get in shape’ which started a fitness revolution like never before. Gym going was the new craze and working out became just as important to trying out the latest bistro for the new Yuppie crowd in cities across the world throughout the 80s era. Above: The Reebok Workout Plus Classic Trainer in white/navy/red available now from 80s Casual Classics. From the early 80s onward Reebok jumped on the new fitness revolution with an assortment of classic leather styles for the ultimate on foot comfort during your workout. 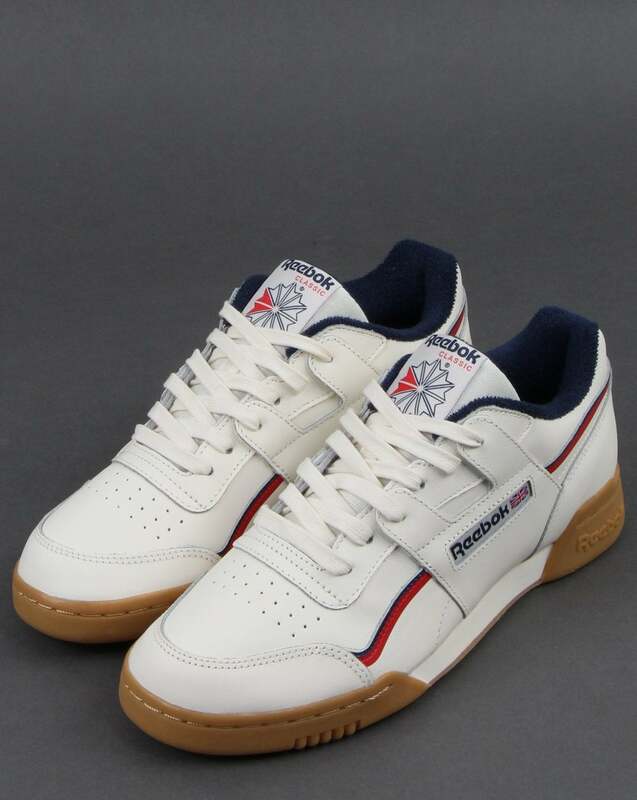 The Reebok Workout from 1984 couldn’t really represent the era much better, never mind the fact it had ‘workout’ in its name, the style itself still screams 80s fitness. 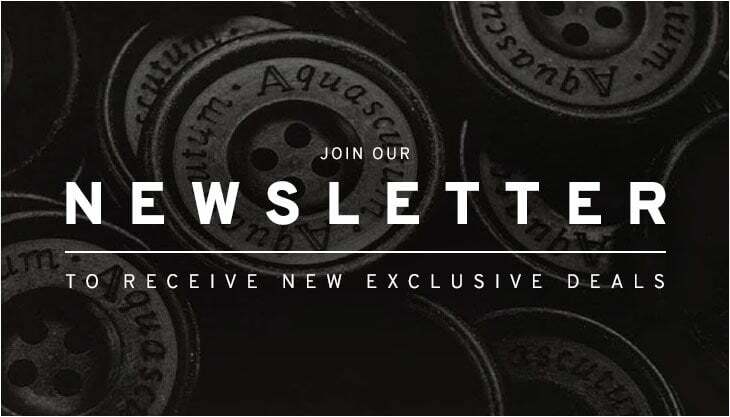 An all-time classic style from the Bolton born brand, the Workout also became popular shoe for casual wear which continued throughout the 90s and the noughties to modern day trainer collectors. Its signature H-strap is what makes it stand out from other Reebok style of the era and the Workout legacy continues with their latest Plus silhouette which now arrives in true OG form at 80s Casual Classics. Featuring a navy and red stripe running down the side and a gum sole unit for some added retro vibes of the celebrated 80s ‘fitness’ silhouette. 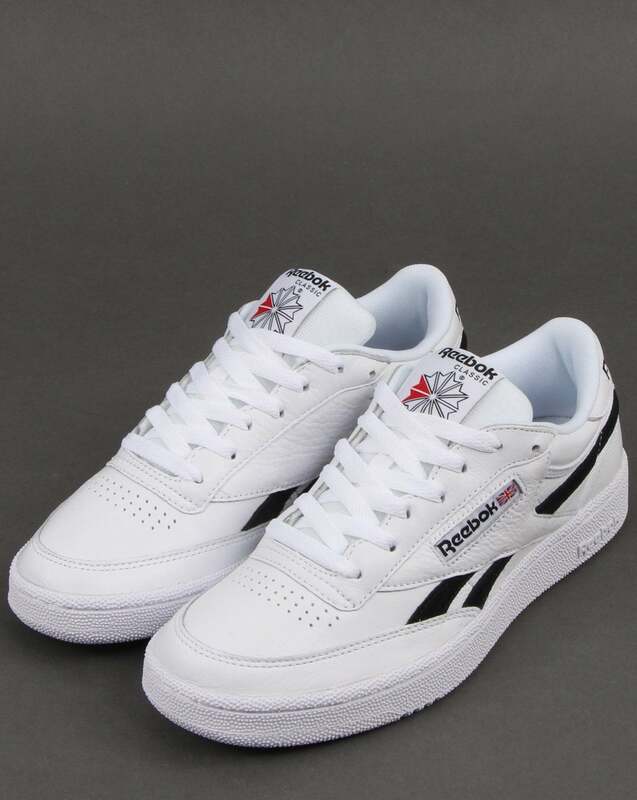 Above: The Reebok Revenge Plus Trainer in white/black available now from 80s Casual Classics. If classic 80s trainer style is your thing then we’ve also just introduced some new iterations of the Reebok Revenge Plus trainer. The Revenge silhouette was actually one of the first styles from the celebrated Club C story which is pretty clear on looks alone as the 2 styles are almost identical. A simplistic style with its chunky gum sole and contrasting classic Vector branding, the original 80s silhouette is now offered in white full grain leather and navy suede. 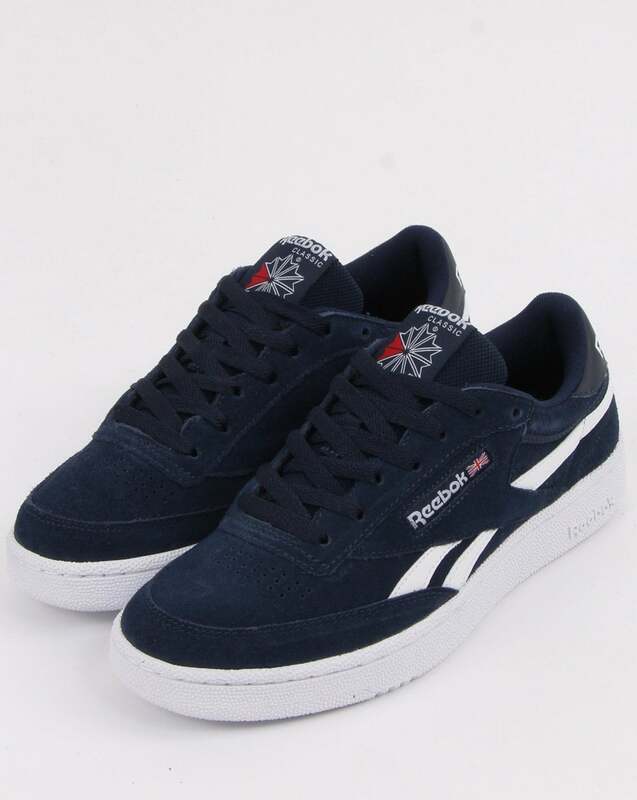 Above: The Reebok Revenge Plus Trainer in navy/white available now from 80s Casual Classics.